Noor Zada is New Tactics MENA initiative manager in the CVT Jordan office. At a recent book launch in Amman, I was very delighted to have in my hands an Arabic picture book which educates children about human rights. 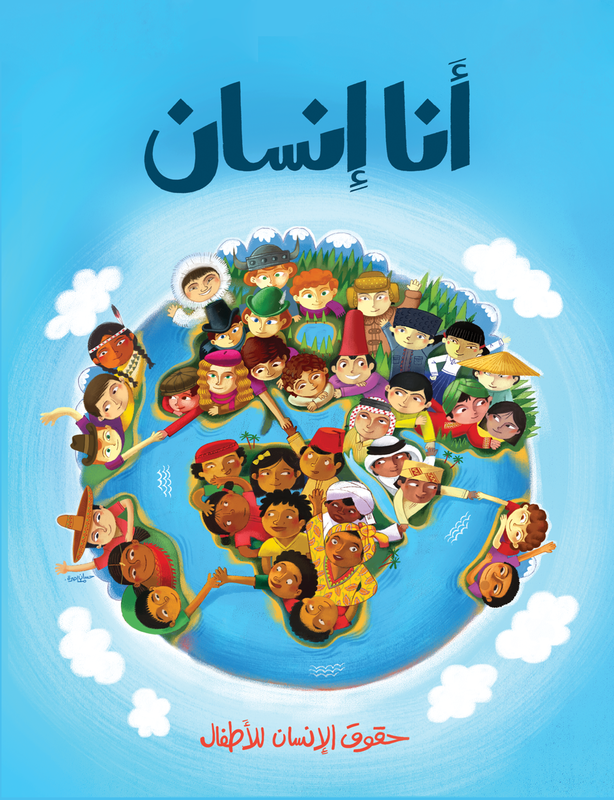 Ana Insan – I am Human is the first Arabic book that presents the 30 articles of the Universal Declaration of Human Rights in simple text and drawings. 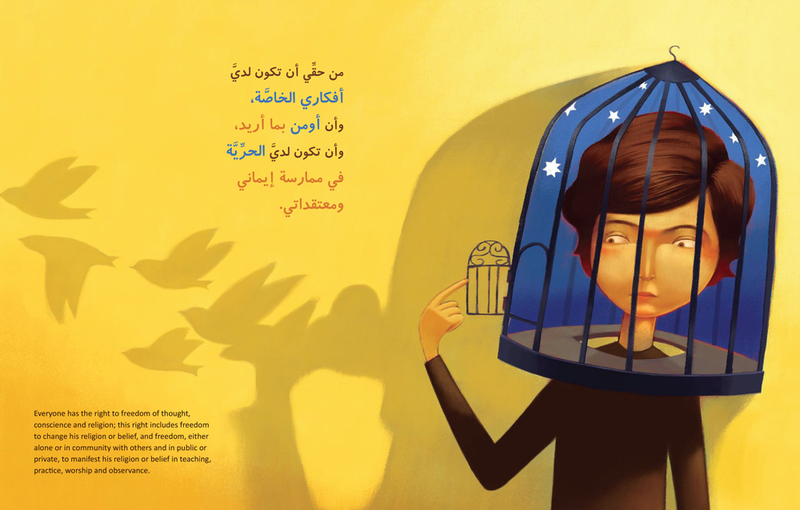 The book aims to educate children between 6-12 years about human rights and empower them to defend their own rights and those of others through their journey into adulthood. The book can be used by children on their own but also can be used as teaching tool for teachers, care givers and parents in order to develop children’s well-rounded awareness of their rights as human beings. Child development specialists Ms. Sirsa Qoursha and Ms. Zina Koury who worked on the book said “We verified children’s reaction to different articles and pictures through focus groups; after that needed changes were made based on their feedback, so children played an active role in the development of this book.” Furthermore the drawings in the book that explain each right were created by twenty-five Arab artists. As the mother of an almost three-year old, it amazes me how fast children learn things that we don’t think they would understand at any early age. When I recently asked my daughter why she did something, she responded “Because I am FREE!” I believe it’s very critical to teach her about basic rights at an early age to grow up understanding what should be offered for her and not to accept less. With this book in hand, I see myself well prepared to educate my little girl.